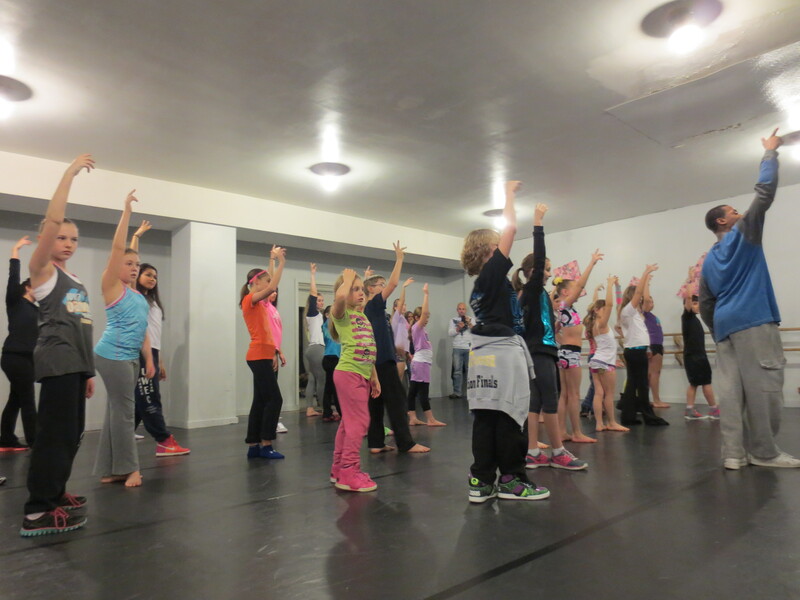 Master Classes – SO worth it! 15 Dec 2013 Comments Off on Master Classes – SO worth it! My kids had an amazing opportunity today! We had to drive an hour and a half each way in order for them to experience it, but it was SOOO worth it! The Eau Claire School of Dance, where Grace and I used to dance when we lived in WI, hosted Robert Taylor, Jr. from the show, So You Think You Can Dance. When I first heard about it, I was so excited! I HAD to bring my kids. Grace’s dance experiences have been all over the place from a style standpoint. The one style she misses most (and hasn’t done much of in about 4 years), has been hip hop. I think she is secretly a little jealous of her brother who is in his 2nd year of hip hop at Lake Area Dance Center (LADC). Even though she has reestablished her love for tap, hip hop is still a favorite. How appropriate that today’s classes were in that style! Michael took Robert’s level 1 class. It was for ages 5-8, though, there were several teenage girls in there as well. I thought they were there to help out, but no, they were taking each level, just because. After watching the level 1 and level 2 classes, I think that was a smart move. There was definitely a noticeable difference between levels 1 and 2! He taught them a little about isolating parts of their boday (for example their head). He taught them about waving (think of a snake-like movement going across their body). They practiced waving from one arm, across to the other, and getting the feet involved too. They also practice finding their own “groove”, as Michael is doing in the photo above. Then they learned a routine. Michael was so nervous he was going to screw up, but he did great! I was so proud watching him! In between sessions, Robert was hanging out in the lobby. We got to chat with him a bit. Such a nice guy! We were talking about how his style of hip hop was different than what Michael does in his class at home, and how cool it was for him to be able to try something new. Robert encouraged Michael to keep taking classes. He told him it’s good to have as many different teachers as you can in hip hop, and about how there are so many different styles to explore. He went on to name about 10 different styles, including, waving, break dancing, popping, locking, and tutting. I didn’t know what that one was. When I asked, he was very cool about it, and went on to show me. I recognized it, but didn’t realize it had a name! There’s something incredibly joyous about watching your kids dance… it’s like seeing their souls being exposed. No matter how much they drive you crazy at times, watching them dance washes that away. One of the really cool things Robert did, was to talk to all the dancers after level 2 (he might have at the end of the session Michael took too, but I wasn’t in there for that one). He said (not quite a direct quote, but close) “Dance is a universal language. 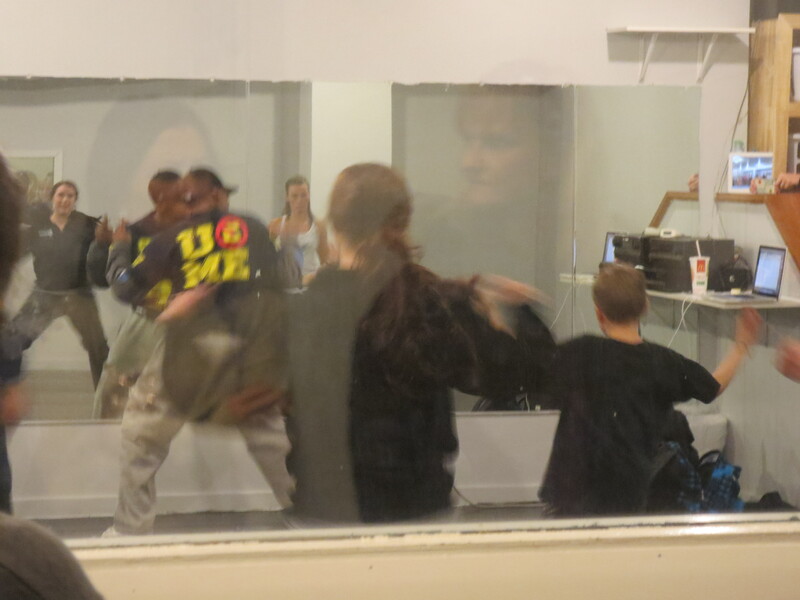 No matter what style you are dancing: ballet, contemporary, hip hop, street jazz… it’s all the same language. The moves might be different, but the emotions are all there… Some people might not get it, people at school… it’s OK, just keep on dancing. Don’t lose that passion…” I wish I had recorded his speech to them. It was amazing! I’m pretty sure even I was at the edge of my seat listening to him. How inspirational he was for those kids! This is the first time I have gotten to witness Master Classes. I know that Grace has gotten to experience them at Masquerade Nationals the past couple of years with judges and choreographers. She has also experienced master classes at LADC as Miss Maria has brought in guest choreographers to teach the dancers. I don’t know if they are all like what my kids got to experience today, but if they are – WOW!!! Take them, send your kids to them, and be thrilled that they are learning some cool new things from teachers other than the ones they are used to. What a great experience for everyone! 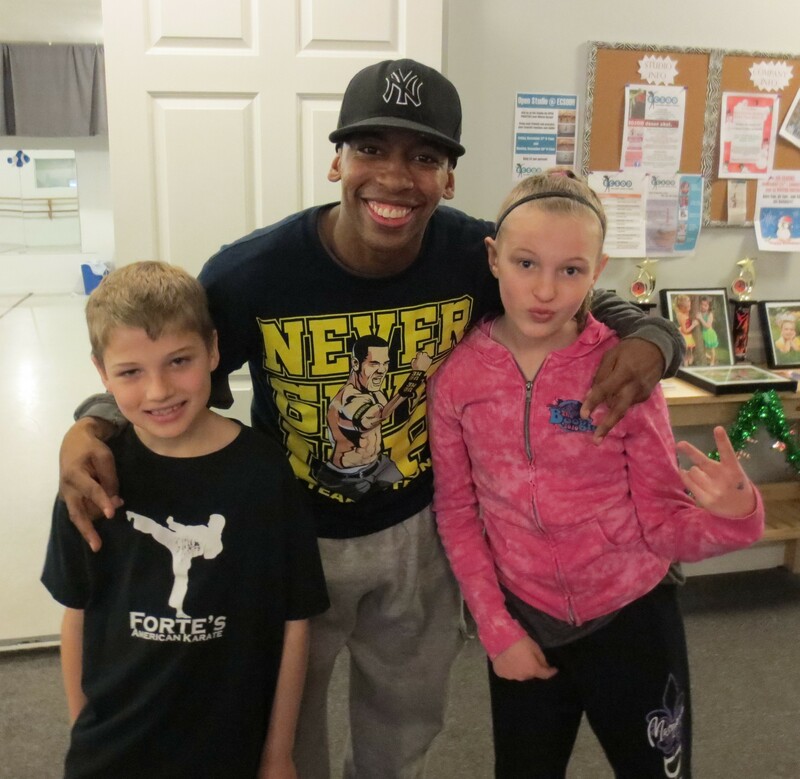 Thank you to Eau Claire School of Dance for inviting such a great guy to the studio to teach a day of Master Classes. Thank you to Miss Maria for excusing Grace from her regular classes so she could have this unique experience. 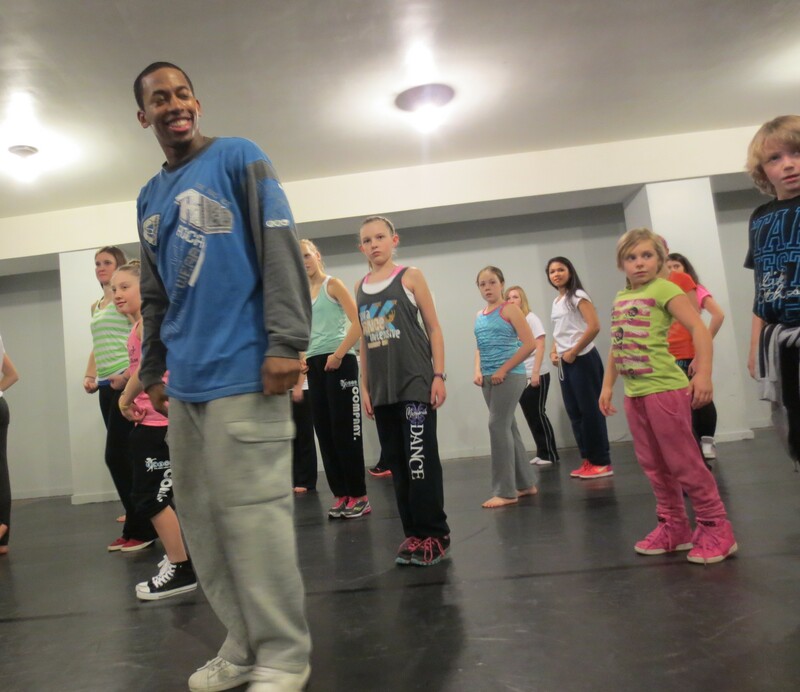 And especially, thank you to Robert Taylor Jr (@D8Robert), for flying all the way out from New York City to teach the boys and girls some really fun hip hop routines!